This past Friday, a friend and I visited Adelson Galleries Boston in the South End for the opening of Andrew Stevovich’s new exhibit. 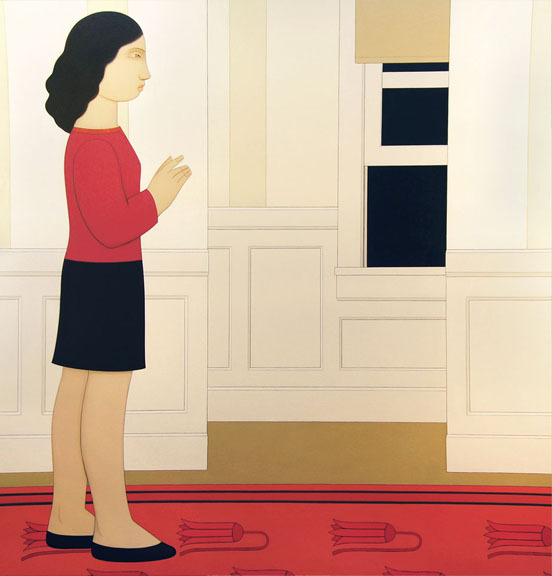 A family friend who has been a fan of Stevovich for years let me know about the event, and I felt very fancy and nervous to be standing in front of his canvases with a glass of red wine. We explored the rest of the gallery, and saw some beautiful things. 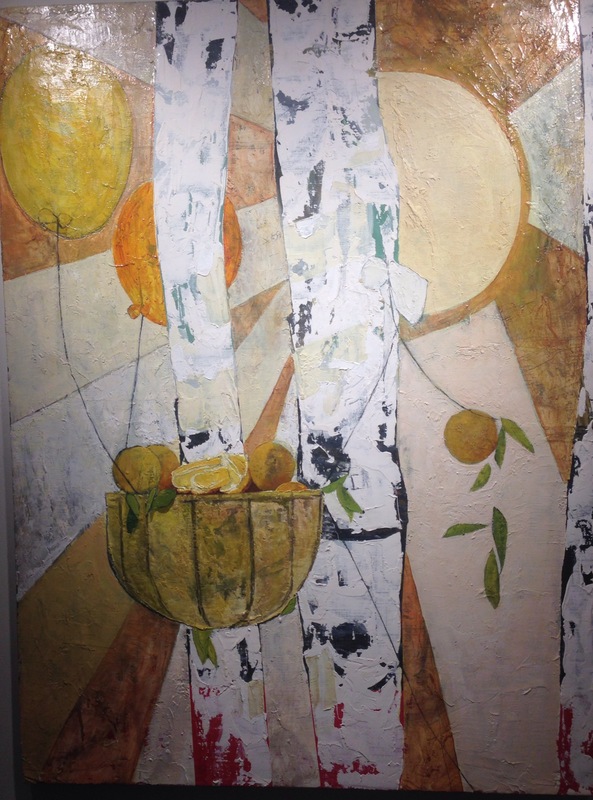 First, we came across this sunny, citrusy, textural painting by Aithan Shapira, titled You Can Grow an Orange on a Birch Tree. 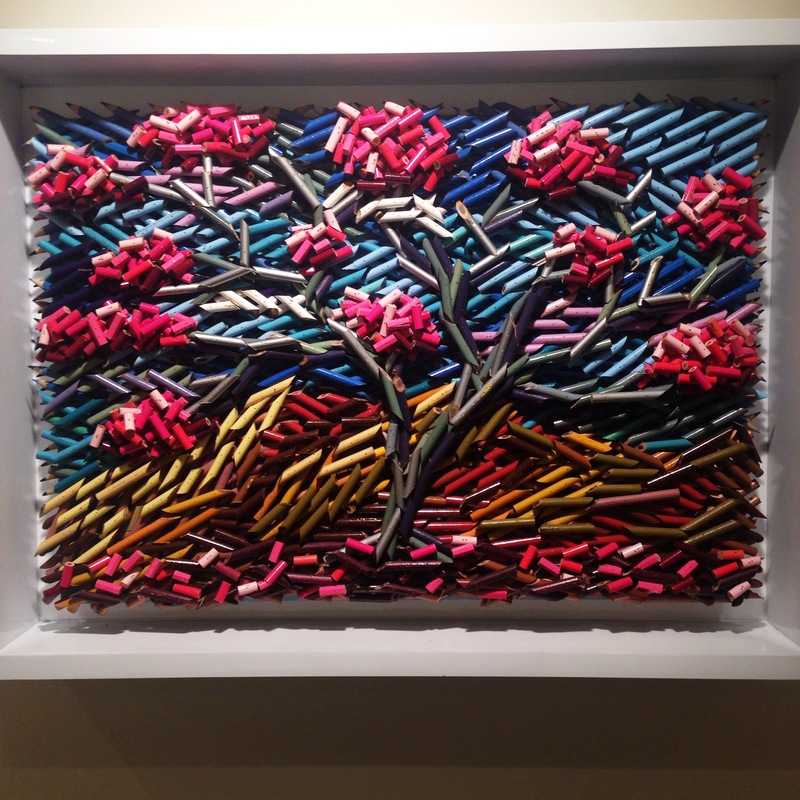 Next was Federico Uribe’s Pink Tree, which had caught my eye from across the room. Can you believe this is made of colored pencils? Check out the gallery if you are in the area!